Make a sweet shop in your classroom! 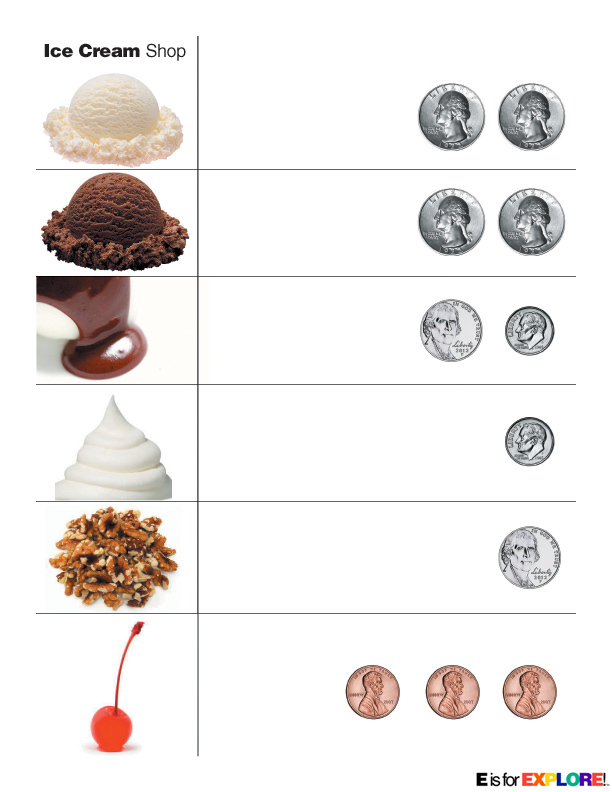 First, give kids a certain amount of money to create a sundae, using the sheet below. Kids choose how many scoops and toppings they would like, but also can afford! After they have chosen what they want, they draw their sweet treat. Then, have them compare their sundae with a friend using a venn diagram. Do their sundaes have anything in common? Next, have fun making colorful sprinkle fractions on tasty treats! 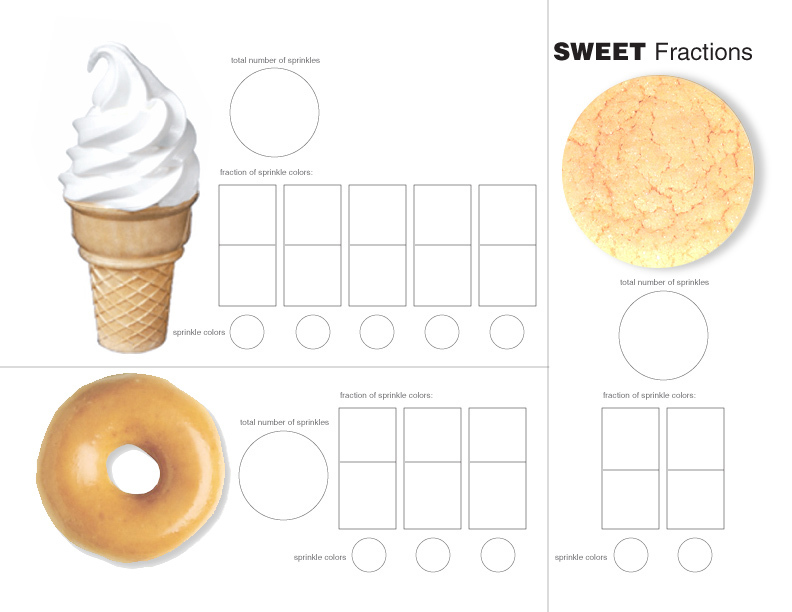 Kids write the total number of sprinkles they would like on each treat in the large circles by each treat. They use a marker or crayon and color in the small circles underneath the boxes to represent each color sprinkle. They draw their sprinkles (with a marker or crayon) on the treat. Then, they write a fraction for each sprinkle color in the rectangular boxes.